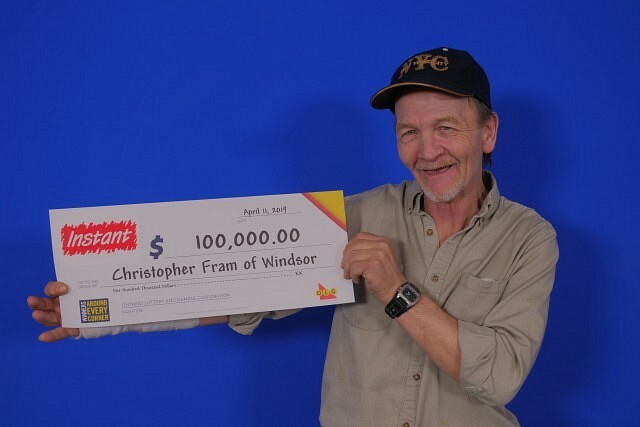 Christopher Fram of Windsor won a $100,000 top prize with Instant Power 5s . “My brain didn’t believe what my eyes were seeing,” laughed Christopher, a 62-year-old maintenance worker, while at the OLG Prize Centre in Toronto to pick up his winnings. The married father of four and grandfather of four plans on helping his family, retiring with a safety net and giving his grandchildren the best Christmas. The winning ticket was purchased at Food Basics on Goyeau Street in Windsor. ATTENTION: Personal attacks, insults, trolling and threats will not be tolerated. See our Comment Policy. NOTE: Anonymous comments are held for moderation and will not be posted immediately.